No longer are maids hired only by the elite. There are now more than 150,000 registered maids in Singapore handling various household tasks like minding children to taking care of the elderly to keeping house. However maids are not professionals; they need some guidance and help settling down in this new city and their new responsibilities. Before you actually welcome a maid to your house, the first thing you should do is make a list of her duties. You need to list out what you expect her to do, what you expect in her performance, any house rules you want here to follow and other related information. Remember, make as detailed a list as possible to make it easy for your maid to read and understand it. You could make two lists; one for her and one for you. Give her the list on the first day to use as a checklist and to avoid confusions in the future like confusion about duties, working hours, your house rules, etc. Most of the maids who come to Singapore in search of a job are usually not used to living in cities as they hail from a rural area. So they may find it difficult understanding your language, your attitude and your habits. 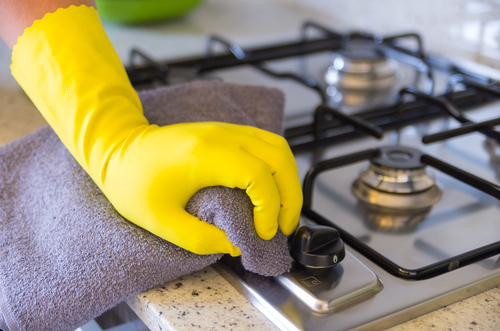 They may also find it difficult handling and using appliances like microwave ovens and washing machines. Give her some time to adjust to all this, and be mentally ready for 'accidents' while using your appliances. Also respect her religion and don’t force her to do anything against her religious beliefs like eating meat. Give her the day off on her religious holiday so that she can visit her place of worship. Give her a second chance as she’s learning something new. She may also need time adjusting to high rise buildings and your different child-minding techniques. It’s thus worthwhile if you dedicated some time to just training your maid. Though your maid may be working for you, it’s important that you give her her due respect. Your children will follow and mimic your manners. So you set a good example for your children by respecting your maid and treating her fairly. Treating her this way also helps improve her work attitude, and make her actually love her work and not feel like a servant. Most maids will even put in an extra effort to get things done for you. Integrating her into your family where possible will help her feel more comfortable during her time with you. Respect her different cultural background and be patient, tolerant and understanding with her. It goes a long way in minimizing disputes and unnecessary quarrels which may affect her wreak performance. You need to define and value each other’s privacy. You need to tell her that privacy is very important for you, and that you will not allow activities like inviting maids over when there’s nobody home. Similarly, you should give her her privacy, and don’t pry into her personal affairs like letters and the phone calls she makes after working hours. Of course, you should interfere if you notice signs of anxiety and depression. As you are your maid’s channel to the outside world in this new land, you need to maintain good communication lines. It’s only if you are approachable will your maid confide and trust in you. Do not hesitate to tell her if she’s doing something you don’t accept as if you don’t, the problem may only escalate and it gets even more difficult to resolve. However calmly explain mistakes she makes as raised voices only harbor negative feelings and cause hysteria. There’s a high chance that she will grow homesick at some time or the other. You should thus let her communicate with her friends and family at home through mail as it helps alleviate her feeling of isolation and homesickness. It is important that your maid is well rested as it’s only then will she work better. Let her rest well during the night and give her sufficient off days as she needs to relax and enjoy life too. A happy and well rested maid is always better than an unhappy one! As her employer, you are responsible for her maid’s wellbeing which includes taking care of her food, basic necessities, medical care and accommodation. She may not be used to your type of food or cooking; give her some time. It’s even possible if you first give her food of her preferences, and then slowly introduce her and let her adjust to foreign food. You have to pay if she needs medical treatment, including hospitalization, as you are her employer. If possible, give her a separate room. And if it’s not possible, at least respect her privacy by providing her with sufficient space to sleep. Do not make her sleep in the corridor or living room or share a room with a male adult. You both may mutually agree on how you pay her wages-by cash or crediting it into her bank amount. It’s better to document all your payments to prevent any future misunderstandings and if you credit her money into a bank account, hand over the account book to her. However if you mutually agree to keep the account book, you should at least give her access to it whenever she wants to check that you regularly credit her payments. 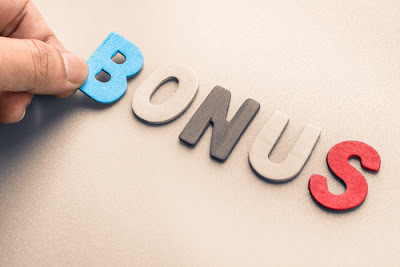 Giving her a bonus where appropriate like an annual bonus or end of contract gratuity acts like a good motivator. Incentives like this make your maid serve her contract much more diligently and effectively. So if you are thinking of hiring a maid in Singapore, it takes more than good luck or keeping your fingers crossed to get a good maid. It takes this list of tips to help you understand and manage your maid properly so that she actually enjoys working for you. Once you understand your maid, and get along well with her, you will be able to trust her and leave your home and even kids in her hands!